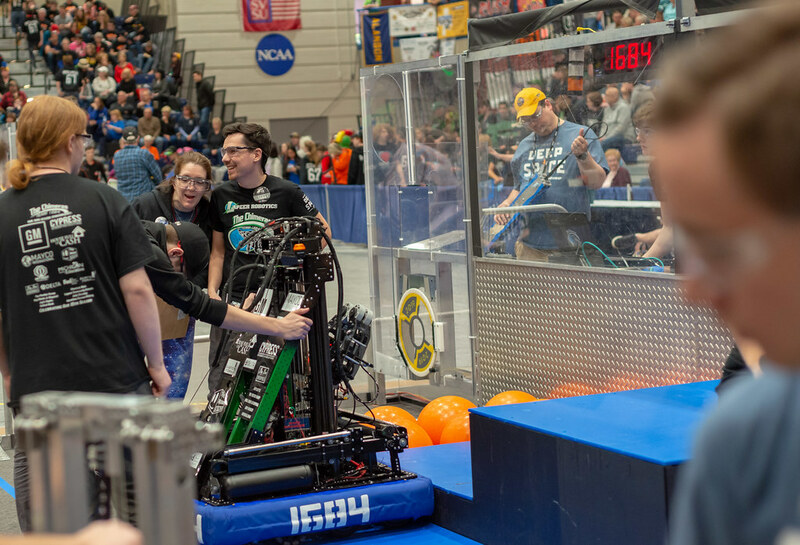 The Board of Trustees of the Lapeer County Community Foundation (LCCF) recently authorized a grant in the amount of $12,600 to Lapeer Community Schools for the purchase of a dozen VEX Robotics Kits for use in the District’s new Project Lead The Way program (PLTW). 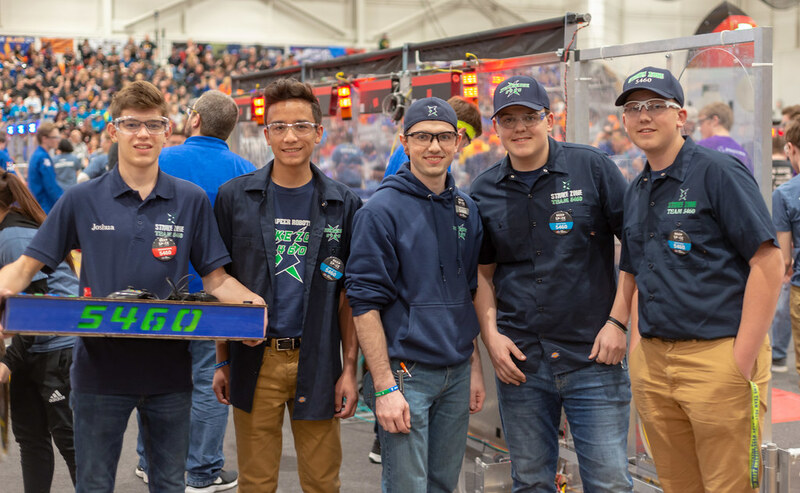 PLTW is a Science, Technology, Engineering and Math program that will be housed at the District’s Center for Innovation (CFI-West) on the campus of the current Lapeer West High School starting this fall. Matt Olson, the future director of CFI-West, said the program will continue to grow as the District prepares for the start of the 2014-15 school year. LCS Superintendent Matt Wandrie said support from organizations like LCCF are vital to the strategic vision of the District and to the revitalization of the region. For more information on how to enroll in PLTW, call Susan Wilmers at 810-667-2400. Project Lead The Way is a 501(c)(3) nonprofit organization and the nation’s leading provider of STEM programs. PLTW’s world-class, activity-, project-, and problem-based curriculum and high-quality teacher professional development model, combined with an engaged network of educators and corporate partners, help students develop the skills needed to succeed in our global economy. For more information, visit www.pltw.org. The Lapeer County Community Foundation provides grants that enhance the quality of life in Lapeer County. The Foundation manages endowments totaling over $8 million in 59 funds for a wide range of charitable purposes. This is fantastic! 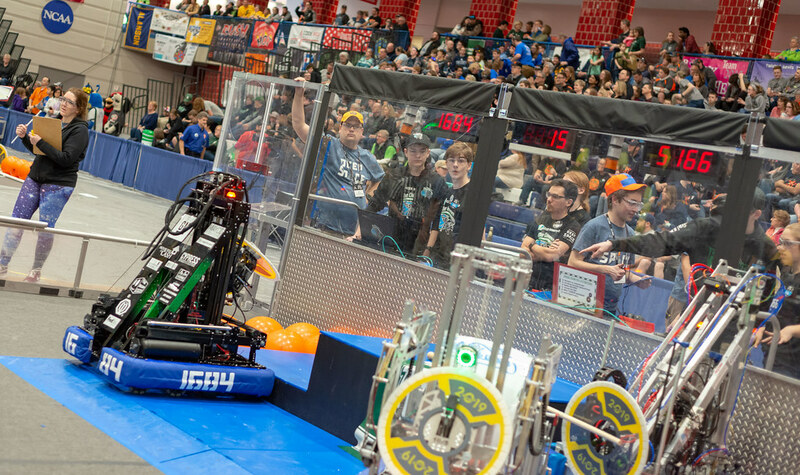 Thank you to the Lapeer County Community Foundation for such their help in sponsoring the VEX robotics kits! If you ever want to see kids suddenly motivated to figure out solutions and think through educational concepts, just get them involved in robotics. It’s like watching a light bulb go on, and we are enormously grateful to the sponsors who help make this possible!